Sophie Brown’s family has just moved from Los Angeles to the farm they’ve inherited from a great-uncle. Farm life gets suddenly more interesting when their cranky chicken moves objects with only her brain: jam jars, the latch to her henhouse, the entire henhouse…. 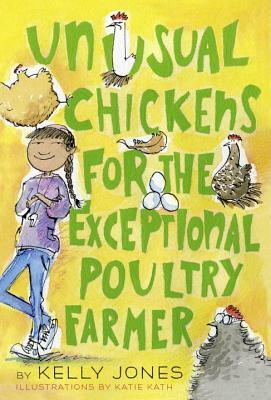 This quirky, clucky classic is told in letters to Sophie’s abuela, quizzes, a chicken-care correspondence course, to-do lists, and more.